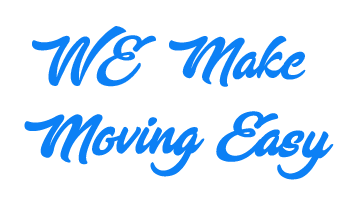 Carmel Movers is one of the most trusted names for Local Movers in Massachusetts for more than ten years, we’ve moved our customer’s distances near and far, helping them to plan and execute moves all over the region. Whether your family plans to move across the street or across the state – Carmel Movers provides all of the moving services you need. We’re one of the highest rated Local movers in Massachusetts thanks to our hard work and dedication to top quality customer service. From the moment our team arrives in your home to provide an accurate estimate of your moving costs to the second your last box of belongings crosses the threshold safely into your new home; We stand with our moving customers every step of the process. Every Local Move Include 7 Wardrobe boxes free (rental at move day). Free packing for your Mattress and Box spring. Disassemble and reassembled of required items (beds, large dinning tables, etc). No additional fees for walk-ups, pianos, or long carriers. Don’t need to Empathy dressers (we move them full). Pick up your items today delivery tomorrow, or day after. Carmel Movers has the facilities and capabilities to handle your storage needs. OK VERY SIMPLE, THIS IS HOW WE CHARGE! Local moving charges are based upon hourly rates. The rate begins when the crew arrives at your location and covers the total time of the move. In addition to the hourly rate, there is a one-time fee called a travel charge and fuel charge. Definitely for customer with 3 bedrooms and up. This option gives you peace of mind! Carmel Movers will give you one price, flat, no gimmick, and no additional charges. No gimmick, and no additional charges. will advice you which option is the best for you.